Macy’s teamed up with IBM Watson to come up with a chatbot that acts as a shopping assistant. Releasing the chatbot exclusively on Facebook Messenger, Macy’s aims to make the entire process of finding clothes easy. Is the chatbot up to the mark? Let’s dig deeper to find out. To enable the chatbot on messenger, you need to send “get started” to the chatbot. The chatbot will send a message that gives you all the information you need about the chat bot. If there are any issues with your purchases or search for products, you can contact customer service within the chatbot itself. It also gives you a list of featured shops around you where you can buy Macy’s products. You also get a guide on how to search for products using the chatbot. 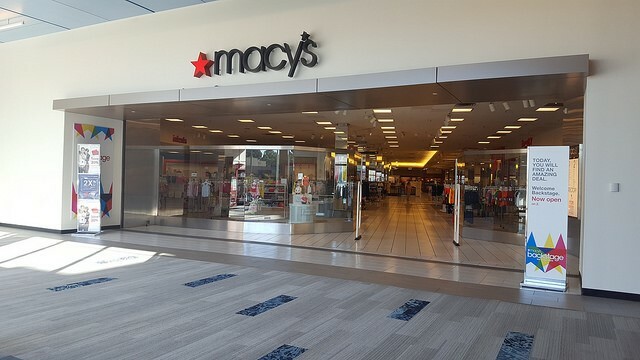 To begin searching for Macy’s products, you need to either type in “I’m looking for …. or find me ….. “. For example, if you type boots, you will get a wide array of options for boots. You can narrow down the boots you like and buy it by selecting shop now or you can find similar boots by asking the bots to show you similar products. If you are not happy with the results, you can ask the bot to show additional results or you can search for a different product altogether. If you want to purchase the product, all you have to do is click now. The chatbot opens up the mobile app on the messenger with the shoe on it. You can change the size and color of the product on the mobile app. The seamless switch between the chatbot and the mobile app is amazing as you can order the product with just a click. Searching for products through the chatbot is efficient as it gives a wide variety of choices. The chatbot doesn’t get confused or take a lot of time to find products from the Macy’s store. The chatbot also has a store finder built in it. If you are in the middle of a search and you want to find a store, simply type “Start Over” and the bot will display the opening message. When you select featured shops, the chatbot displays different types of collections. You can select any one of them to look at what it has to offer. If you find something you like, you can either buy it or ask the bot to find additional products. The last feature of the chatbot is customer service. Upon touching customer service, the bot takes you to a chat window with a Macy’s representative. Any queries will be answered by the customer service representatives. The shopping experience is enhanced as the interface is relatively clean. The chatbot is responsive and can easily understand what kind of product you want. Searching for products using keywords is brilliant as it displays a large selection of items. You have the option to buy it within the chatbot itself. Also, you can ask the chatbot to send you similar products. The chatbot is friendly and the dialogues aren’t long. If it is unable to find what you were looking for, it will inform you in a humorous manner. Navigation within the chatbot is easy as there is always a menu button and you can go back to the first message by typing “Start Over”. Also, you don’t have to necessarily touch the options on the screen as you can type it. The bot clearly understands what it has to do. All in all, Macy’s chatbot is really good.